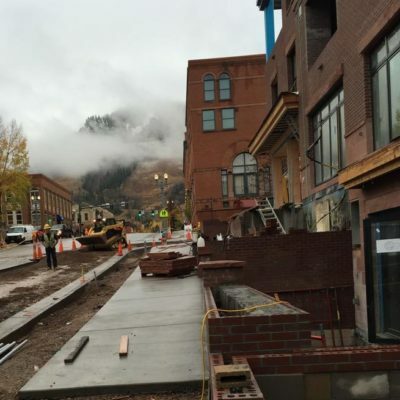 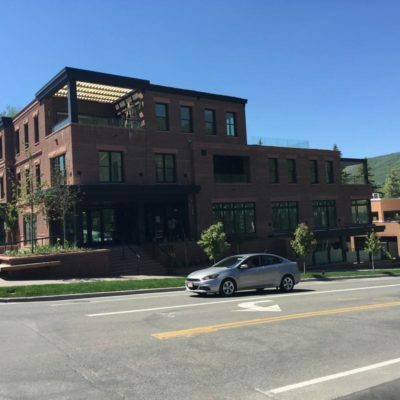 The civil set for the Mill Building in downtown Aspen was designed by RFE in 2014. 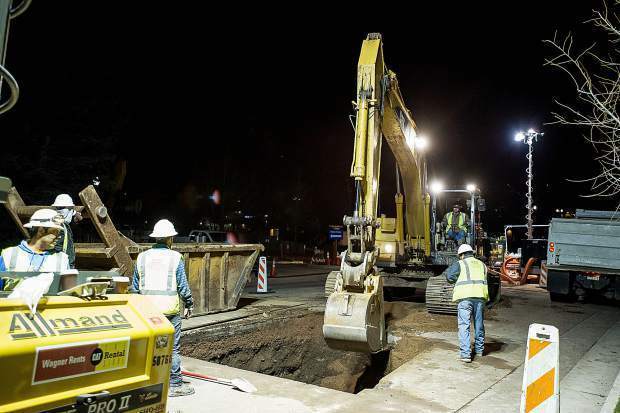 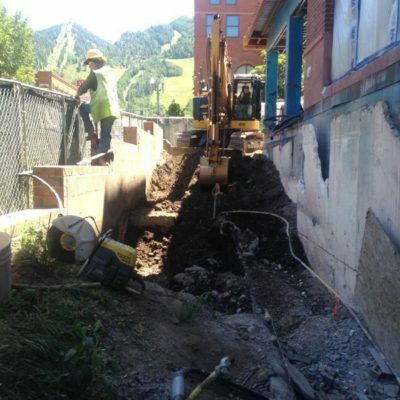 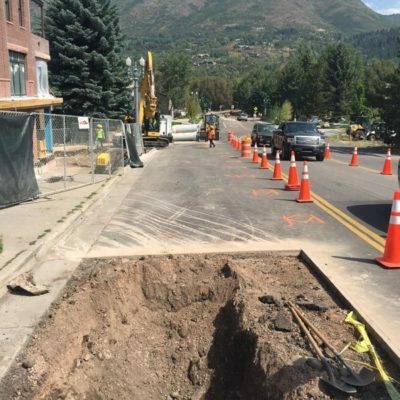 The utilities were designed to serve the proposed five story building that required connecting into Mill Street, one of Aspen’s busiest corridors with large amounts of building infrastructure. 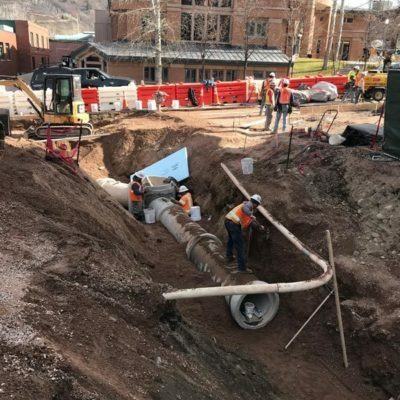 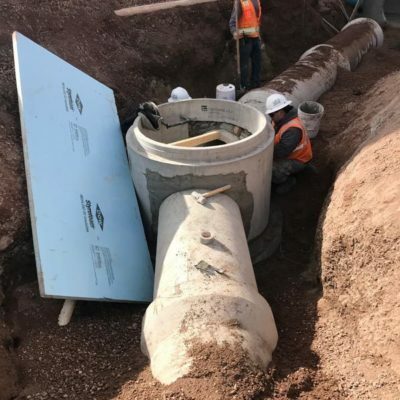 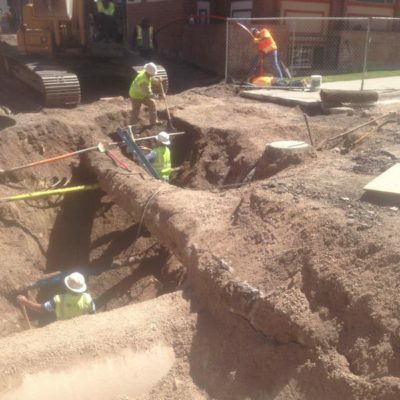 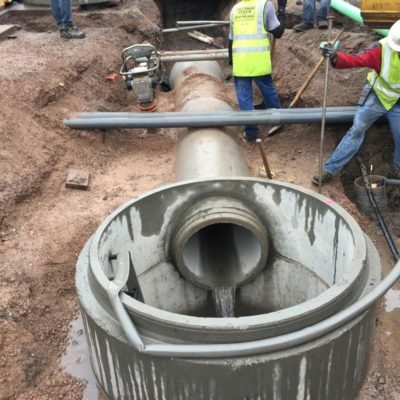 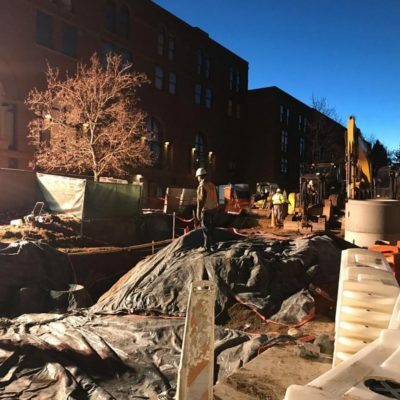 In 2015, RFE designed a 24-inch reinforced concrete pipe (RCP) that was installed in the Mill Street corridor as part of the development of the Mill Building. 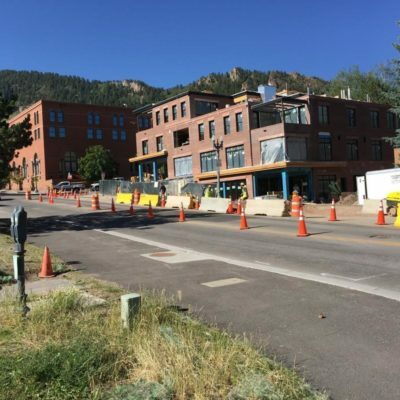 A section of the Mill Street pedestrian corridor was also ungraded. 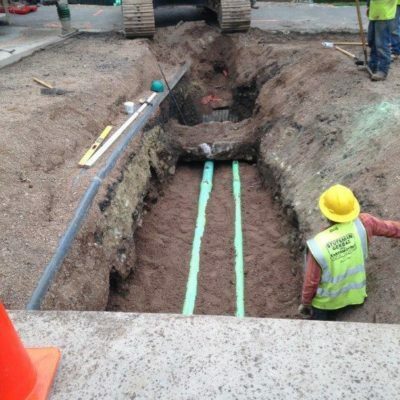 In 2017, RFE was asked by the City Engineering Department to design a connection from the Mill Street storm line to Bleeker Street to replace the existing corrugated storm line. 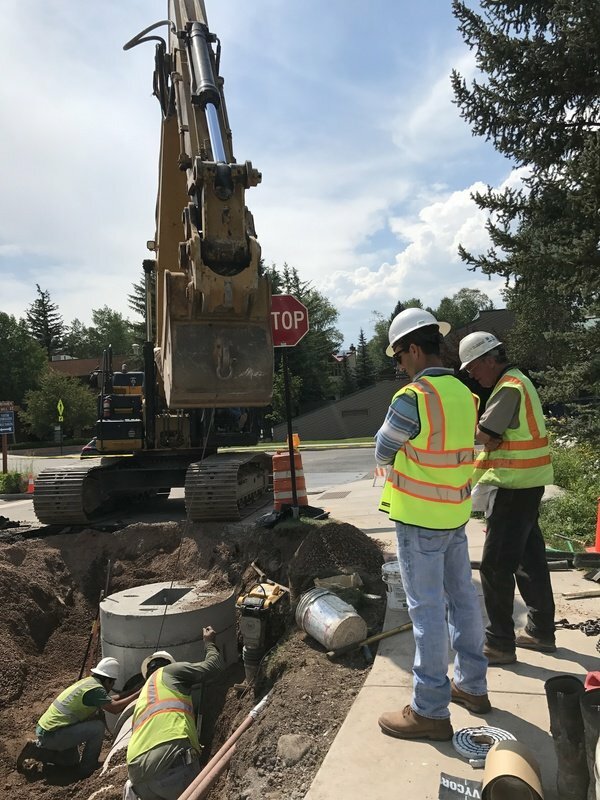 Existing utilities at the intersection presented a challenge for the design team’s requirement to install 24-inch RCP at the desired slopes. 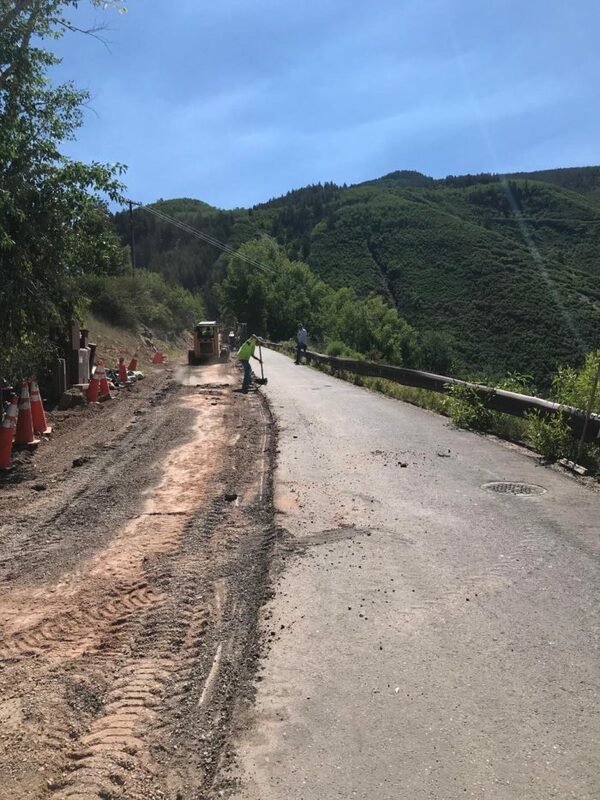 RFE successfully performed the hydraulic analysis of the lines to convey upstream flows through this constrained utility corridor.